DIRTY ROTTEN SCOUNDRELS cast announced! Full casting has been announced for the national tour of the critically acclaimed Best New Musical of 2014, DIRTY ROTTEN SCOUNDRELS, making its Scottish Premiere at the King’s Theatre Glasgow on Tuesday 23 June until Saturday 4 July 2015. 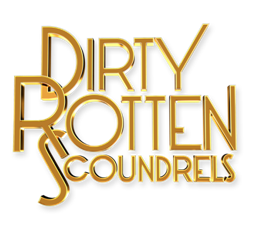 From 5 May 2015 to 8 August 2015 DIRTY ROTTEN SCOUNDRELS UK tour will star Michael Praed as Lawrence, Noel Sullivan as Freddy, Carley Stenson as Christine and Mark Benton as Andre. They are joined by Geraldine Fitzgerald as Muriel. The rest of the company includes Emma Caffrey; Andy Conaghan; Phoebe Coupe; Soophia Faroughi; Jonny Godbold; Orla Gormley; Patrick Harper; Justin Lee-Jones; Jordan Livesey; Lisa Mathieson; Andy Rees; Freya Rowley; Regan Shepherd; Kevin Stephen-Jones; Katie Warsop and Jenny Wickham. Free Glass of Champagne with every full price ticket performance until Friday 26 June. Applies to bookings made before Sunday 31 May, select Champagne Package to book.